Collectively been singing and dancing professionally for many years nationally and internationally. There entertaining skills have been compared to some of the most famous of stars. 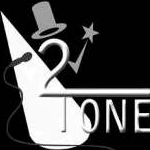 2Tone is a London - Bedfordshire based Duo singing Soul, Disco, Funk, Jazz, Rock, Pop and more! They have one of the largest repertoires of any duo in the UK and are available to hire for private and corporate parties and events. 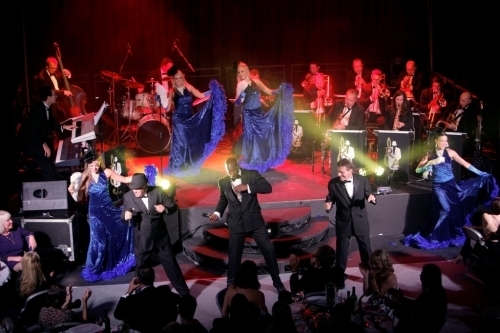 2Tones talents have taken them all over the world entertaining audiences on land and sea. After forming in November 1998, they have been regularly entertaining crowds at clubs and functions across the UK and beyond where there performances met with rave reviews. 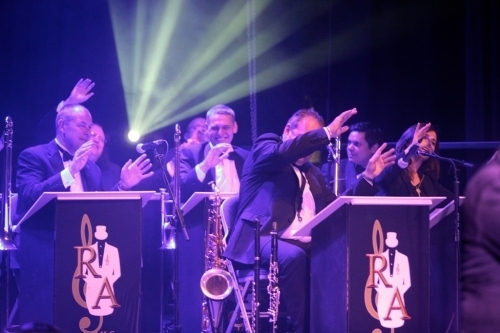 Away from 2Tone they also have their own swing orchestra Ratattack and the Longtails, coupled with their Vegas style dancers and perform all the songs from the swing/Rat pack era in the most prestigious theatres and hotels, this along with Ryan's 10 piece soul band make them the perfect entertainment for every event big or small. 2Tone are as energetic as you can get, with wireless rigs render them boundless and indispensable if you want your dance floor filled. Dave and Ryan sing among the audience enticing them to join conga lines and engage crowds like never before. They boast an impressive international CV, and as a leading event duo are a great addition to any private party or corporate event. 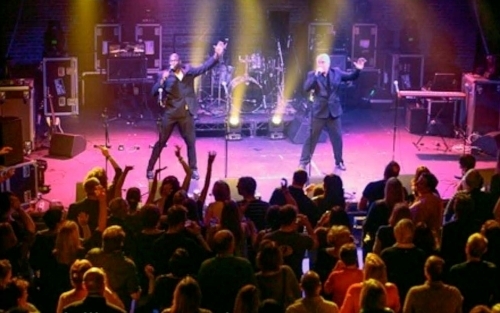 Boasting gigs across both the UK and wider Europe 2Tone are far more accomplished than your average covers band and are sure to make your corporate event or private function a huge success. 2Tone come fully equipped and ready to go with their own sound engineer, pa and lighting rig. 2tone Dave Mason & Ryan Chandler. A good party atmosphere doesn't just ‘happen', it needs to be driven just like any good business and that's exactly what 2Tone do make it happen. Both very professional, and personable. We hope to use them again sometime in the future. 2Tone were brilliant, professional, and really kept our party going. Very talented, and easy to work with. I had some reservations about hiring a live band and a dj for my party, but i am so glad i chose the band. I would hire them again without a doubt! 2 Tone are great and accommodating they were asked to come on later and they did without asking for asking for anything additional. They even performed an additional 30 minute encore free. 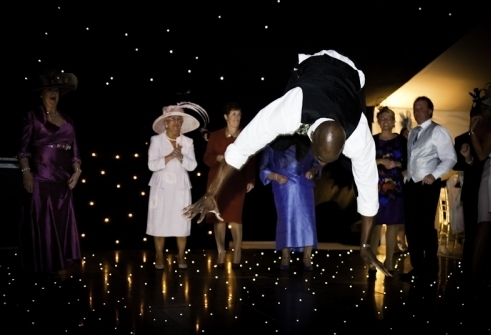 My wedding guests were thrilled to hear all their favourite songs sung live by 2tone! In addition, they were very accommodating, professional and fun to work with. All of my guests complimented them and danced happily! They exceeded all my hopes and made my night very special! 2 Tone they where great!. Had a lot of people at our party compliment me on our choice for the band. Recommend them highly. We just wanted to thank you all for such a wonderful performance! We have received numerous compliments on the amazing band! You made everything so easy were so friendly; Ill definitely tell everyone about you! Thank you so much. We cant thank you enough we received so many compliments that night. There is no doubt we made the right choice asking 2tone to play at our wedding reception. You made it a night that we and our guests will never forget. I just wanted to say thanks again for everything. Professional, courteous and overall superb!! I look forward to seeing you in the future." Absolutely incredible could have listened to 2tone all night...classics, reggae, motown, soul ...blew me away. Huge compliments from our guests plus I feel that I have found new friends in Dave and Ryan." just fab guys!!! 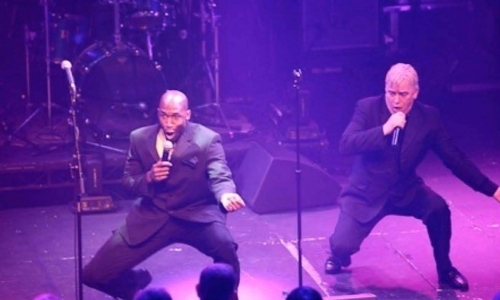 2tone was a surprise for our wedding guests and a huge success in adding an element of fun, laughter and great songs from their huge repertoire! They were a perfect choice of entertainment for our big day. They were so pro in every way from beginning to end! We have booked them again to help celebrate at our 1st year anniversary party! Where to begin wow 2tone did a fabulous job at our wedding. This was a surprise to all our guests that we had managed to book Dave and Ryan to perform, everyone was shocked and surprised. I received lots of compliments on their performance i would most definitely call 2tone again if I am in need of entertainment." 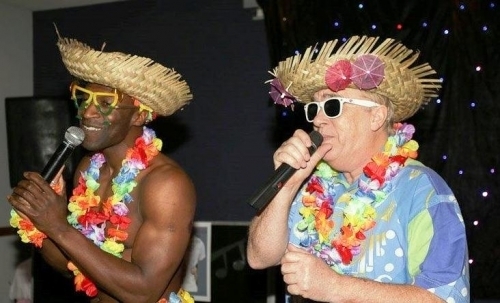 I hired 2tone to perform at my 50th birthday party. To everyone's delight and surprise, Dave and Ryan came waltzing out of the bar dressed in his tuxedo and began serenading us, they had my friends swooning before the show was over. 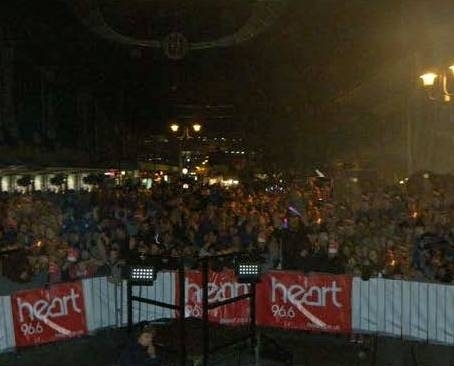 The crowd really enjoyed the entertainment and it made her 50th a memorable event. They are extremely detailed and professional. 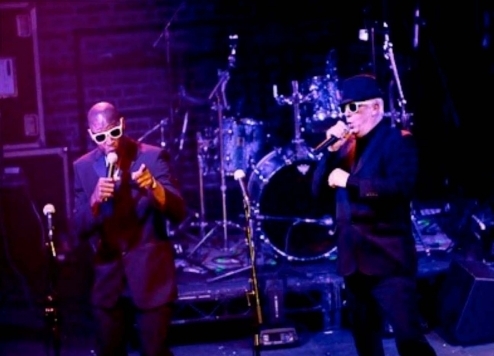 It was a pleasure to have Dave and Ryan (2tone) take the stage at our charity event. They really got the crowd in the mood and set the tone for the party. Their singing and stage presence is of true professionals. They were also instrumental and very helpful in encouraging high bidding at our auction.